GCS _ Jiangsu Zheng Wei Electric Power Equipment Co., Ltd. Type GCS low-voltage withdrawable switchgear (hereinafter referred to as device) is two joint design according to the department in charge of industry, the majority of power users and design units developed in accordance with the requirements of design conditions, with high technical performance indicators, to meet the need of electric power market development and can compete with the introduction of existing product low voltage draw-out switch cabinet, the device has been widely use electricity users. The device is suitable for power distribution system in power plant, petroleum, chemical industry, metallurgy, textile, high-rise building and other industries. 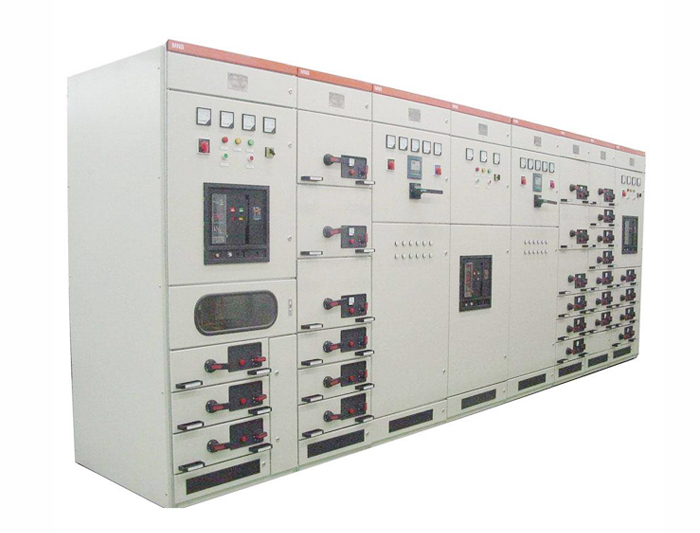 In large power plants, petrochemical system, such as high degree of automation, and computer interface, as the frequency of the three-phase ac 50 Hz (60), rated voltage of 380 V, (600) (400) V V, rated current is 4000 a and below the hair, power supply system of power distribution, centralized control of the motor, reactive power compensation using low-voltage power distribution equipment. Ambient air temperature is not higher than 1 + 40 ° C, no less than 5 ° C. Shall not be higher than the average temperature in 24 hours + 35 ° C. In case of exceeding, the capacity reduction shall be carried out according to the actual situation. For indoor use, the elevation of the site shall not exceed 200 m.
Air relative humidity at the highest temperature is around 3 + 40 ° C is less than 50%, at low temperature are allowed a larger relative humidity: such as + 20 ° C is 90%, should be considered due to the change in temperature may accidentally condensation effect. 4 device installed with the inclination of the vertical plane was less than 5 °, and the whole tank column relatively flat (GBJ232-82 standard). The device shall be installed in a place free from violent vibration and shock and not sufficient to cause improper corrosion of electrical components. 6. If users have special requirements, they can negotiate with our company.